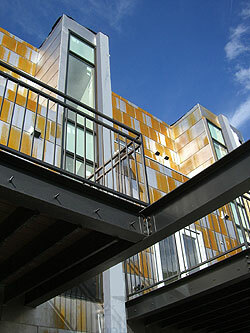 Merchants Row Brownstones have already won multiple awards for its modern and unique design. 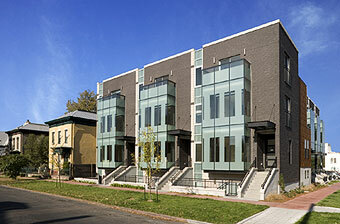 Located in Five Points right near Curtis Park, the brownstones were designed by In Situ Design Architects in 2006. Modern design at its best these homes offer unique appeal with a truly urban feel. 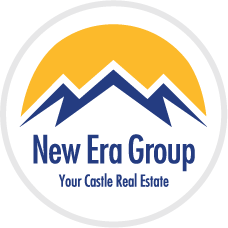 They feature 6 separate townhomes, 2000 square feet and larger with at least three bedrooms. 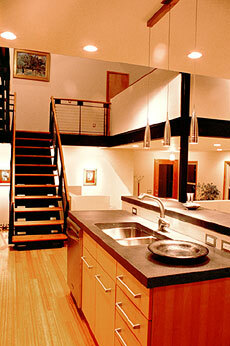 Each home has a basement that can be used by the owner as a rental property. Location: 910 26th St. & Champa St.